Emmanuel Macron’s coronation was followed either by fretting that “over a third still voted for a fascist” or “he’ll never get anything done anyway”. While both of these are valid comments, they should not be concerns. 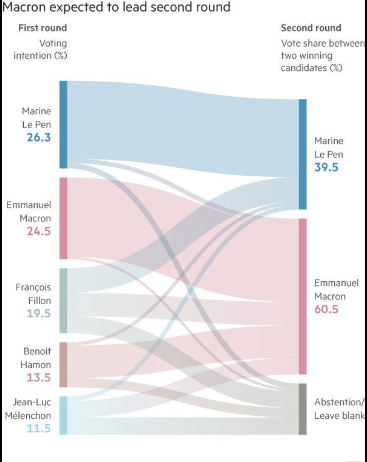 Rather than fret over France’s secular uptrend in fascism votes, consider instead that neither of the big established parties got through to the second round. That gives a sweeping mandate to anyone who can deliver change. Much like how Theresa May is now likely to gain a significant majority by delivering Brexit that 48% of the country didn’t want, it is possible to capitalise on The Mood Of The People, even if they didn’t vote for you. France had had enough. This is Exhibit A for Macron to deliver some reforms. Aha, but what about the fact his party hasn’t existed long enough to deliver a majority in Parliament? Surely that will stymy his efforts and we should be just as afraid as we were before the Presidential election began? Mais non, mon petit choufleur. Stop for a moment and tell me the name of any French Prime Minister. Any at all. Not just the ones that have run for President, and that’s why you’ve heard of them. In fact, tell me about a time when France was resplendent, abundant with joy, awash with positive change. Tricky, isn’t it? The French economy has struggled for years. The focus of any hopes for change have always rested on the head of one man alone, and that’s the President. For all the attention on the US Presidency, the French equivalent has more power within the system. This is because he gets to choose his Prime Minister and approve his cabinet; whereas the US Speaker of the House is elected by the dominant party without any Presidential involvement. Thus in France, the executive has a much stronger hold on the legislature. During cohabitation it can indeed be tricky for the President, as he has to choose a PM with the support of the majority party of the National Assembly that may not be his. Many appear to think that Macron will suffer the same fate as En Marche will be too new a party to command many seats. This is actually Macron’s trump card. He’s unknown, and his party is new. He can work with either of the biggest parties in the legislature without losing face. He can be flexible. He can put together a coalition of the willing, that changes as he launches each new policy – and he will not be criticised for it. Equally, the tribal loyalties that prevent Republican MPs from legislating for Socialists (or vice versa) can also be put aside. The deputes can also therefore be flexible. And who wouldn’t want to back the man who came out of nowhere to easily win two-thirds of the vote? Momentum matters in politics. Right now, Macron is at his most powerful. He’s not failed to deliver anything; he gained declarations of support from both Republicans and Socialists in the run-up to the vote; he is the figurehead for France. If parliament were to gang up and prevent him implementing his agenda at this stage, they look deliberately obstructionist. Now, if The People’s mood changes, then he will struggle. 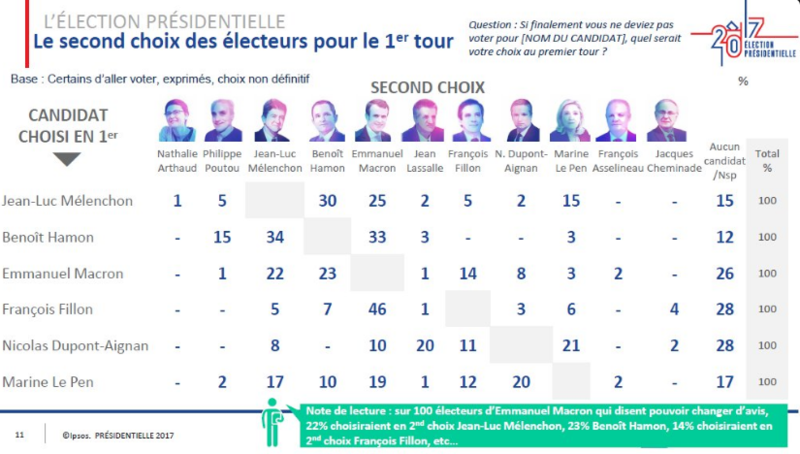 Let’s say Le Pen starts to poll 45% as the years go on and nothing changes; then he would have to change course. But that’s years away. Right now, he can do anything. For all the murmuring about the National Assembly elections then, they’re really only of interest if you are specifically investing in an area that the minutiae of policy might affect. But from a macro perspective, they’re pretty much irrelevant. Much more important for macro thinkers will be how Macron acts on the world stage. What stance will he take towards Theresa May? Or Michel Barnier? Or Juncker? Or Merkel? It’s much more relevant to consider what he might do with the rules over the UK/France border point created in the Le Touquet Accord – coincidentally, Macron’s family home is in this seaside town. Or his pledge to prevent UK firms from tendering for EU public contracts. The Brexit Battle Lines are being drawn, with significant ramifications for both sides. Now this, I am worried about. It’s going to be messy, noisy and nasty – as all negotiations carried out in public are. For now, though, the VIX can continue to plumb the depths, on Tuesday hitting its lowest level since December 1993, and stocks and risk-positive assets can remain happy enough. In the new world, remember that volatility eats itself on the way down as well as on the way up. The systematic vol selling funds just keep on keeping on, picking off those who like to pick up a little portfolio insurance. As long as this insurance ends up worthless, as it has so far, the selling will continue. And as the selling continues, allocators continue to plough more and more into risky assets. It’s a virtuous circle. What could cause this to change? Now, these are all issues to worry about. They are in fact the issues that should occupy thoughts throughout the rest of the year. Not who wins the French elections, nor when the Fed hikes, or North Korea gets jumpy. Macron will govern. The Fed will be hawkish. North Korea will be jumpy. The question is how prepared the market is for these events and what positions would be vulnerable to a reversal. For starters, let’s expect the VIX to print a new all-time low very soon – and the longer it stays down there, the more violent the reversal will be. Climb that wall of worry! Is there a Fed Meeting tonight? Tonight’s Fed decision is considered a non-event, due to the lack of press conference or new projections. All the action is expected to come in June instead, although action might be too strong of a word for it. Ever since this first proper hiking cycle began, the market has never really believed it meant anything much: the US 2 year rate is now only ~0.30bps above where it was when they started. Woohooo! The market is pricing in 1.5 hikes for the rest of this year. 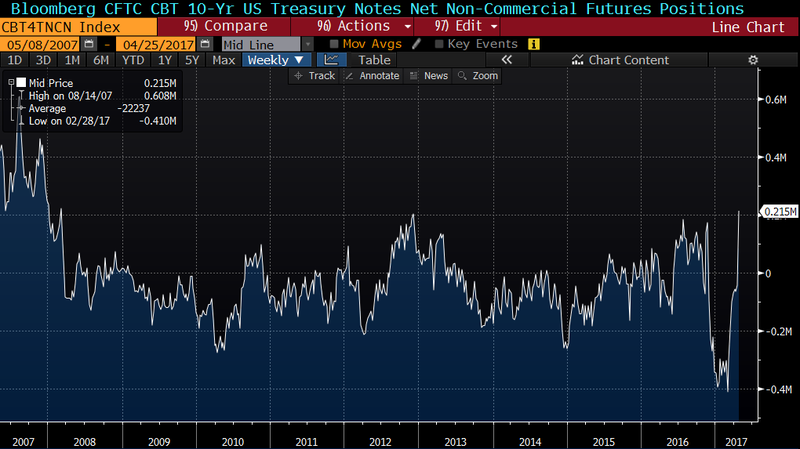 It’s like ever since the taper tantrum put the fear of God into the Fed, and the oil price collapse led to global deflation, we just can’t imagine a world of properly rising interest rates. This is largely due to the rally in the stock market alongside the fall in volatility. Effectively even as the Fed are hiking, the US is facing easier policy. The hikes aren’t doing anything. So, the backdrop is fairly calm for them to signal tighter policy ahead, should they so desire. There is a raft of speakers on Friday (Fischer/Williams/Roesngren/Evans/Bullard/Yellen) which could provide the opportunity, even if tonight is as snoozy as expected. Divorcing Couple Have Row. Palace Prepares Statement. Usually, that wouldn’t be much of a headline. But when the couple are Theresa May and Jean-Claude Juncker, it’s splashed right up there on the front page. Much emotion has already been spilt over the leaking of last week’s tete-a-tete dinner, where Theresa was apparently “in another galaxy” for her views on Brexit. Eyes rolled from Remainers, froth surged forth in the Eurosceptics, and everyone declared doom. Either we would be fighting them on the beaches for their insolence, or begging at their sleeve for forgiveness. In other words, this meeting did nothing to change the opinions of either of those groups. And this, friends, is where we will find ourselves for the next two years. Forget Fake News, this is going to be the realisation that News is only ever perceived by the eye of the beholder. If you never agreed with Brexit in the first place, you’re panicking that you’re being dragged into something you didn’t choose; if you always wanted to leave the EU, you’re ready to greet every defeat as victory. Therefore every news story will have a different tinge, depending on which group you fall into. It was ever thus. Tories evil austerity cuts, or Labour bankrupt Britain? Reporting the same facts, but with a different spin. This didn’t use to bother financial markets. Cutting the deficit in half was cutting the deficit in half; no judgement made on whether it was being done in the right way. It would just mean that interest rates could remain lower for longer as the country got its house in order. If it were credible, and inflation remained in check, the yield curve would respond by flattening. Easy. So what does this Brexit dinner row mean for financial markets? So far, not much. In fact, the market has decided it couldn’t give two hoots about political risk. What with Macron 90% priced to enter the Elysee Palace on Sunday, a US government shutdown avoided, and Trump left languishing in his Twitter echo chamber, why worry? In fact, why worry about anything at all? Stocks are back up to record highs, safe havens like bonds and Gold are easing off their highs, and currencies remain in relaxed ranges. Currency and bond volatility haven’t fallen as far due to less QE going on and currencies now being used as pressure valves for economic shifts. So if the gap between FX/Bond vol and Equity vol narrows then we know that the world has decided we are going back to 2014 style somnolence. No risks on the horizon, everything as it was, keep on keeping on. But hang on a minute! What about that row? That’s not just a political argument, it could affect the very fabric of both the UK and Europe’s economies, with knock on effects for the rest of the world! Understanding the apathy to this event is key for understanding how the rest of this year pans out. Last week I met an investor who put her head in her hands and wailed “when can we stop talking about politics??”. The current lack of fear is not because there is nothing to be worried about; it’s because we don’t know how to deal with those worries. The risk of a Fed hike in June can be priced and measured; the risk of no deal between the UK and EU cannot. And if the market can’t price something, it often chooses to ignore it until it becomes something that can be priced. As long as it’s not systemic, of course. It’s a bit like mortgage backed securities in 2007. All going fine until the day that someone wakes up and can’t price some CDOs (BNPP on 9 August 2007 for those who can’t remember). Wait, are these guys making decisions that might actually affect the price of assets? So the valuation of everything I own is based on a shifting landscape that I can’t quantify? To move from the first stage to the second, we need to reach peak greed. Brace yourself for many more observations of the VIX lower than here. We may be at the same levels as we were in February 2007, just six months before the credit crunch began; but we are far from the same levels of euphoria. Having spent a couple of years wondering what your portfolio might look like if the VIX hits 25, maybe now we have to consider what it would look like at 5…. And then at that exact same moment be ready for the violent flip back to reality. VIX 5/50 straddles anyone?? Emmanual euphoria continues… With the market certain that Macron will win the French Presidency, and thus the year’s big political risk out of the way, everyone can sell their worthless tail risk insurance, volatilities can fall, and then everyone gets a signal to plunge into ever more risky assets. Or at least, that’s the narrative for now. At some stage we will reach peak Greed, but for that we need the complete absence of Fear. There is currently little fear about the prospect of a US government shutdown. This Friday is the deadline for the government to run out of funds, following the rollover of the March 15th deadline by the use of temporary “extraordinary measures”. We have been here many times before, and even when the government did have to shut down in October 2013, it barely hurt the markets (or indeed the economy). Hence the general shrug of disinterest. But this time around, it happens to coincide with the new President celebrating his First 100 Days on Saturday. Again, we might shrug that this is an artificial meaningless construct, coined relatively recently by FDR in 1933. It’s just something for the newspapers to fill copy with, isn’t it? Irrelevant to actual power. That would be to underestimate its importance to the first Reality TV President. From Fake News to Alternative Facts, his whole Presidency is about what is said about him. He knows that using Twitter to talk directly to The People, His People, got him into power in the first place. Now he’s trying to figure out how to wield that power, what with it operating very differently when it comes to getting things done. Executive Orders haven’t really worked; bullying for a repeal of Obamacare failed; so what next? Ahh it’s all about the Art of the Deal (available in all good bookstores). This title of Trump’s 1987 book is like a red rag to Congress’s bull. They chuckle that he might know how to negotiate in business, but he’s a novice in the art of political deal-making. Hence we have Trump last week demanding that funding for the Wall must be part of this week’s Budget deliberations; but backtracking from that last night. Hey, he’s happy to wait until later this year. He’s relaxed. And that Obamacare repeal that he wanted? Members of the Freedom Caucus who torpedoed it warned now “it’s an awfully tough dream…You just simply begin to run out of days in this week, given the fact that we have this big funding issue coming up at the end of the week” – leaving the White House Press Sec to explain yesterday that they’re so relaxed they won’t set an “artificial deadline” for the repeal. So far, so relaxed, so good, right? Well, it’s hardly as if Trump has had the best relationship with his own party, who didn’t even want to give him the nomination. Now he has to try to build bridges with the Democrats, while keeping the Republicans on board. Meanwhile they all have their own battles to fight, with elections next year. 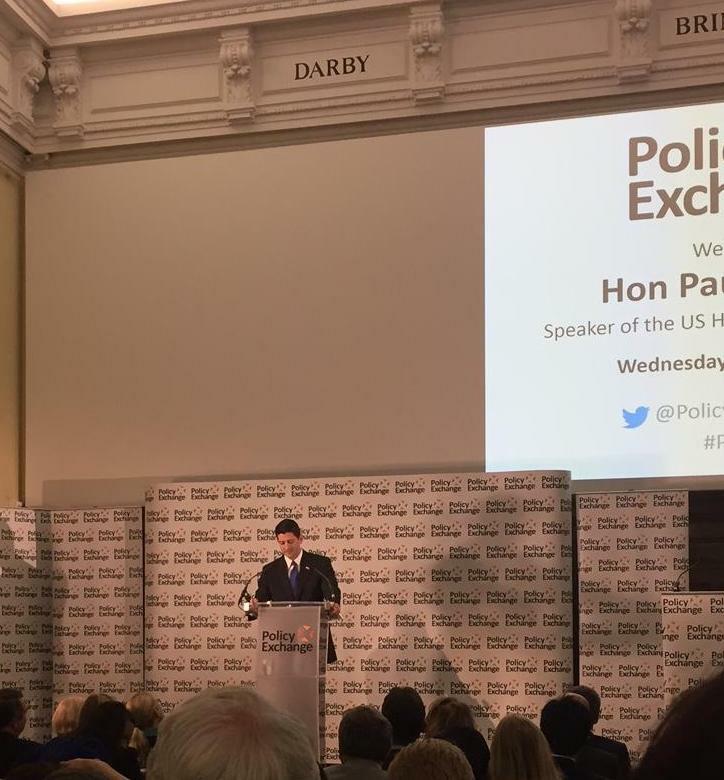 Last week Paul Ryan, Speaker of the House of Representatives, gave a very energetic speech about everything that he wanted to achieve. Make no mistake, he also wants tax reform and a repeal of Obamacare, as Trump does – but he’s been taking the flak for the inability to deliver anything so far. His problem is that everyone wants something for nothing: give this, take from that, keep it revenue neutral. He was clear in his speech last week that healthcare reform has to come before tax reform or they won’t be able to pay for it. But this sequencing is tripping them up as no-one wants to budge to make a deal. Again, this might all seem like irrelevant detail. Who cares? Well, we are heading into a deadline in which everyone in the US political system has something to lose, as they also desperately try to find something to gain. Throw in a US President who’s a never held elected office before, who is hitting the 100 day benchmark with a record-low approval rating, and the Art of the Deal could look pretty ugly. Never rule of brinkmanship or impatience throwing a negotiation off course. And never rule out that at the last minute it all comes together. We are due a volatile end to the week. So it’s Macron v Le Pen, as the polls predicted. And so, the logic goes, as the polls show Macron steadily beating her in a 65% v 35% showdown, we can be all but certain that Emmanuel Macron will be the next President of France. A man who has never held elected office before; who effectively ran as an independent; who comes from a business background. If you’re looking for parallels to Trump, look no further. Some claim the failure of Le Pen in France and Wilders in the Netherlands to poll better is a sign that the EU hasn’t signed up for the populism that’s ‘sweeping’ the UK and the US. This would be to misunderstand the sentiment that’s doing the sweeping. It’s a clean brush that the voters are desperate for. Out with the old, in with the new. Get rid of the establishment. They’ve failed. They profiteered as they preached austerity to those with less power. The tremors from the financial crisis continue. There’s a straight line from the Occupy movements to the complete restructuring of politics across the globe, driven by the deliberate asset-price bubbles stoked by the world’s central banks as they boosted the already asset-rich 1%. Macron is just the latest instalment. The problem for the new independents is that they can struggle to govern: legislating requires gaining support and consensus. They may have got into power on a wave of anti-establishment sentiment but they need to use the institutions of the establishment to exercise that power. Hence Theresa May calls an election in order to shore up her position. Macron needs his almost inevitable coronation to deliver a momentum that puts his newborn party into pole position in June’s legislative elections. Meanwhile Trump now has to spend next week trying to prove he’s achieved something in his first 100 days – and avoid a government shutdown while doing so. This means that political risk isn’t going away. But it is changing. We have seen that the polls are more reliable when they forecast proportional systems – they slipped up over electoral colleges and first-past-the-post but were within the margin of error on the UK referendum and much better on the Dutch and French votes. The market is learning from this. But now it must learn how governing actually takes place. We’ve already been into and out of Trumpflation euphoria; the Obamacare repeal and mishandled executive orders mean we’re now questioning just what the President can actually get done. Next week, if the shutdown comes to pass, we will see just how hard it is when a party turns in on itself. In the months to come, we could see the UK Conservative Party suffer a similar fate: just because Theresa May will likely end up with the biggest majority in decades, doesn’t mean she won’t face further brickbats from within it. If anything, the absence of an opposition might embolden the party’s internal opposition. These lessons are yet to come. For now, the market will be relieved. It is still wedded to the narrative of the past 10 years: what are central banks doing and what does that mean for volatility? In other words, how much of the carry trade can I have on? And we just knocked down one big event risk, so hurrah, fill your boots, buy the dip, sell vol, wear diamonds. The biggest winner from this weekend will likely be the South African Rand or the Mexican Peso. What would throw this off course? Macron has ended tonight being endorsed by every single establishment figure: in an anti-establishment mood, could this hurt him? Could those who released details of Fillon’s corruption turn instead to Macron and unearth some disturbing facts? In the very short term, the Euro may be prone to buy rumour/sell fact – this was the outcome the market had expected and there will be a weekend gap to be filled which could take the Euro back down again. But the positive impact on risky assets will continue – until the aftermath of these political earthquakes becomes better understood.